Drones may be good for surveillance activities, but they sometimes constitute problems of privacy. In fact, drones have catalyzed state privacy lawmaking and prompted numerous conversations about coming privacy concerns. What’s interesting, however, is the narrative that the privacy concerns in recent time haven’t been about location tracking or pervasive government surveillance—rather, it’s been about sunbathing young women. The question that keeps coming to mind is, why is the story about the female sunbather the only one that keeps capturing attention? This could be because the sunbather narrative is easy and concrete. A woman or girl who otherwise wouldn’t expose herself in a bikini suddenly has a much wider audience than expected. Or it could be that the sunbather narrative is actually happening at a greater frequency than other privacy issues—people are pervert, and prurience is a great motivator. But the sunbather story is not selling. The sunbather story fails us because it ignores issues of information privacy. 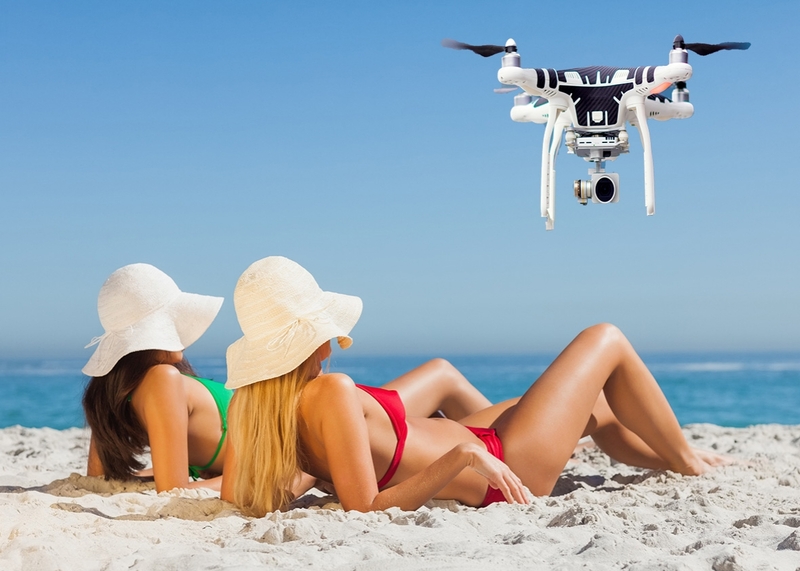 Problem associated with letting the sunbather narrative dominate drone privacy coverage is that it gives a woefully incomplete account of the kinds of privacy concerns raised by drones violating women’s privacy. If legislation is about the protection of the modesty of sunbathers, we risk letting significant issues fall by the wayside. That’s leaving aside questions of whether privacy and modesty are equivalent and whether the father-daughter scenario that results in shooting down drone is a healthy one (you can guess). There are other aspects where the sunbather narrative fails us as well. For example, it failed to address facial recognition technology. Our inescapable biometric identifiers mean we can lose the practical obscurity in which we usually operate in physical spaces. People out there in public might not distinguish or identify us—but drones will. This allows those in possession of drone video to much more readily profile particular individuals. However, the sunbather narrative isn’t completely wrong either. It resounds precisely because drones, like an array of other new technologies, sit at the crossroads of spatial and information privacy. Fathers use to think their daughters were protected by the six-foot privacy fence. But now, drone is changing their thinking. Drones violating women’s privacy aside, it is noted that these gadgets have many positive uses, from safety inspections to environmental research to monitoring police behavior. But when we’re discussing the privacy problems they raise, it’s about time we get away from the bikini stories.